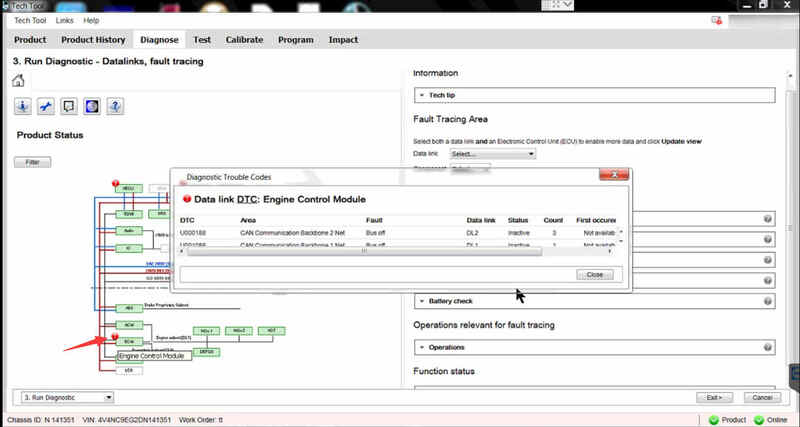 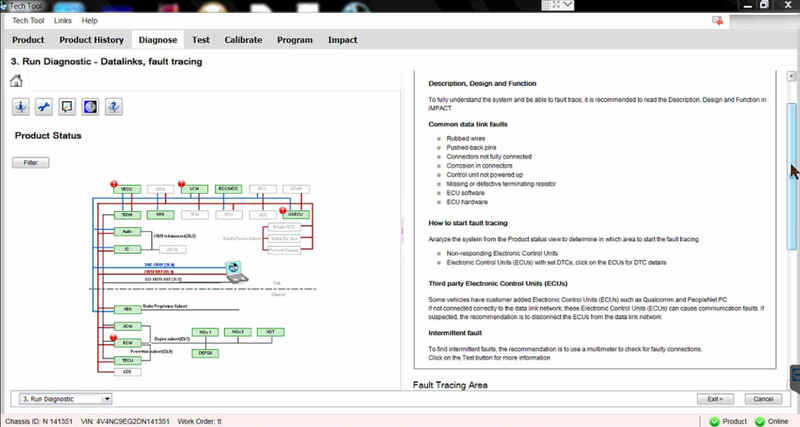 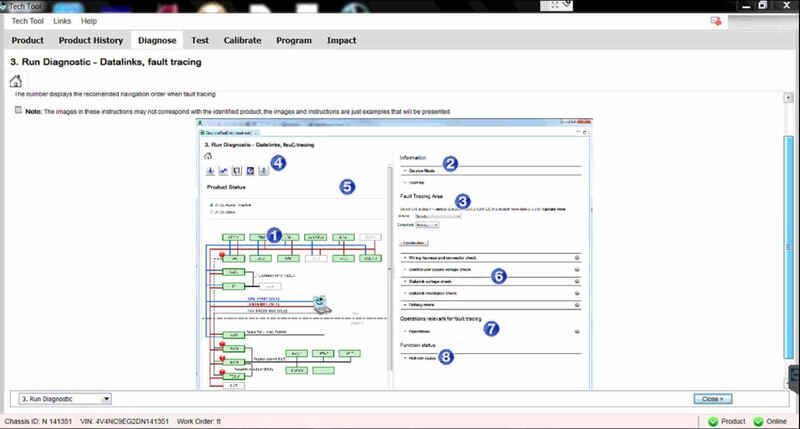 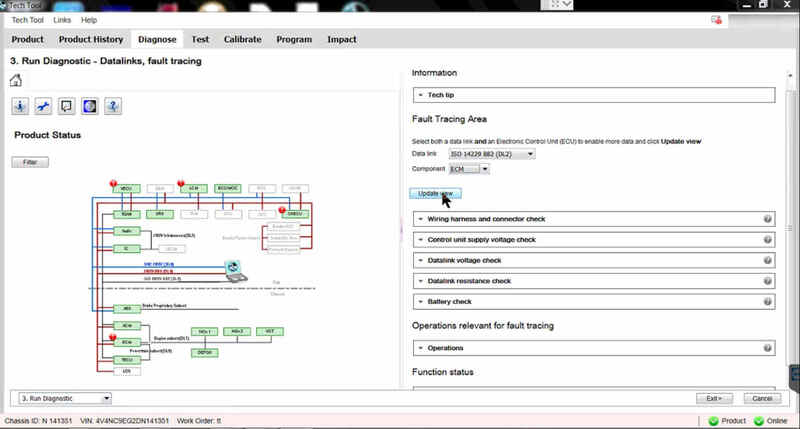 This article show the guide on how to use Volvo PTT to diagnostic a fault codes. 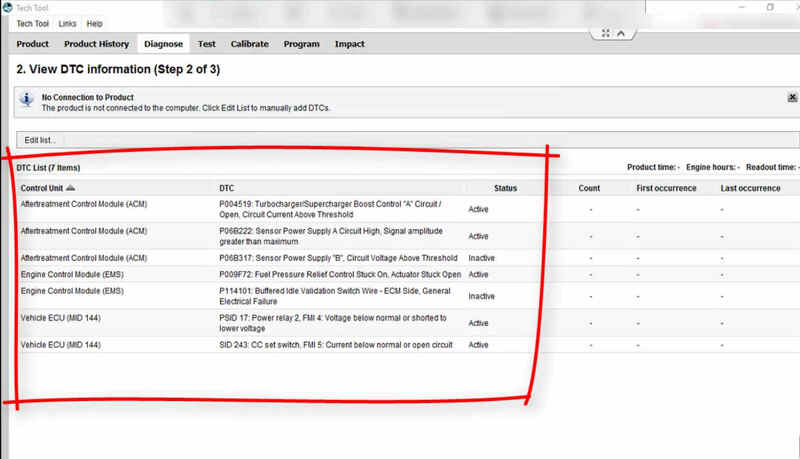 After connecting the hardware to your vehicle,open the Volvo PTT. 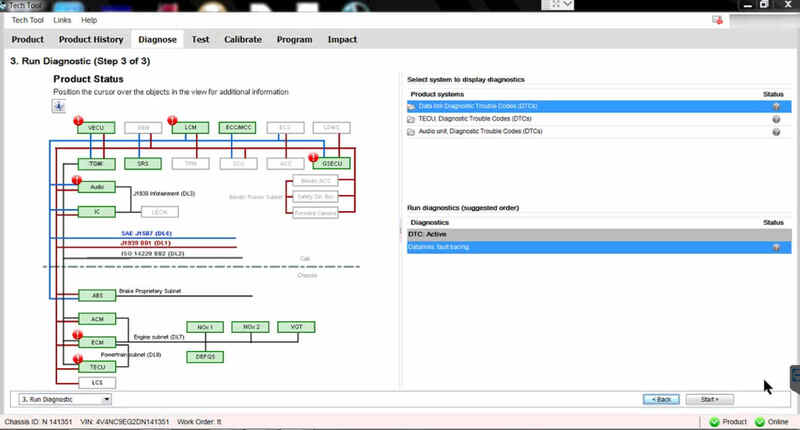 Then PTT connect to your vehicle build communication. 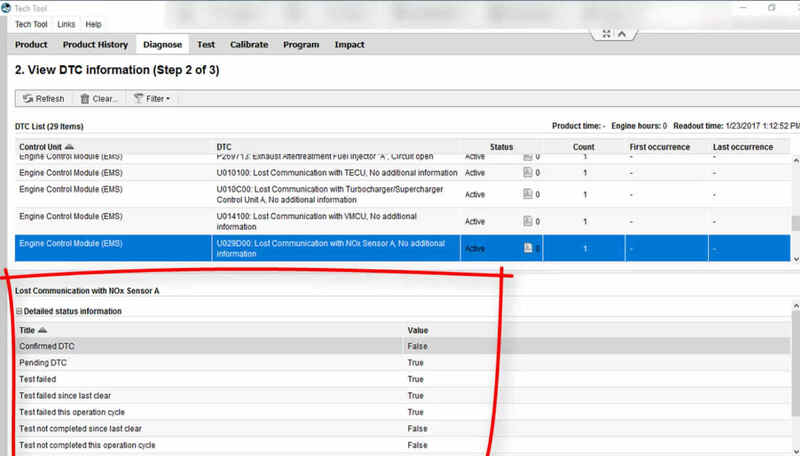 You can select a DTC from the “DTC List” to get the more detail information you selected. 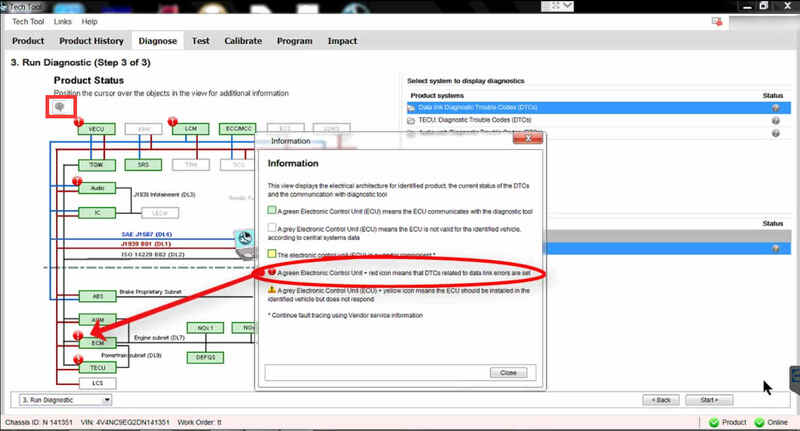 The product is not connection to the computer.Clickd Edit List to manually add DTCs. 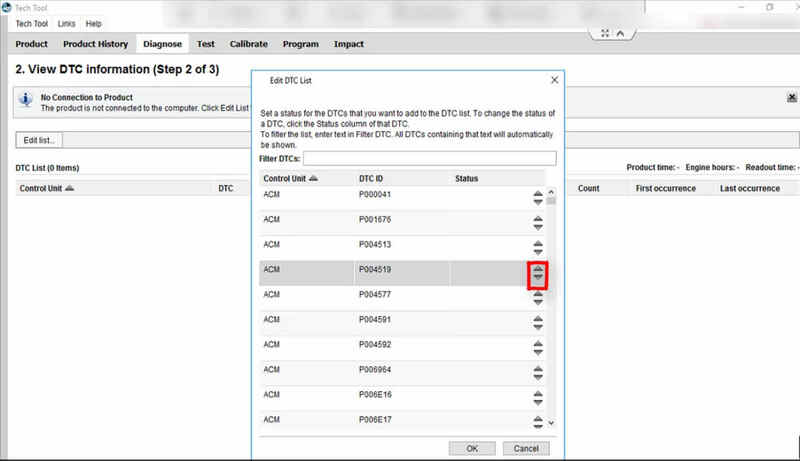 Set a status for the DTCs that you want to add to the DTC list.To change the status of a DTC,click the Status column of that DTC.To filter the list,enter text in Filter DTC.All DTCs containing that text will automatically be shown. 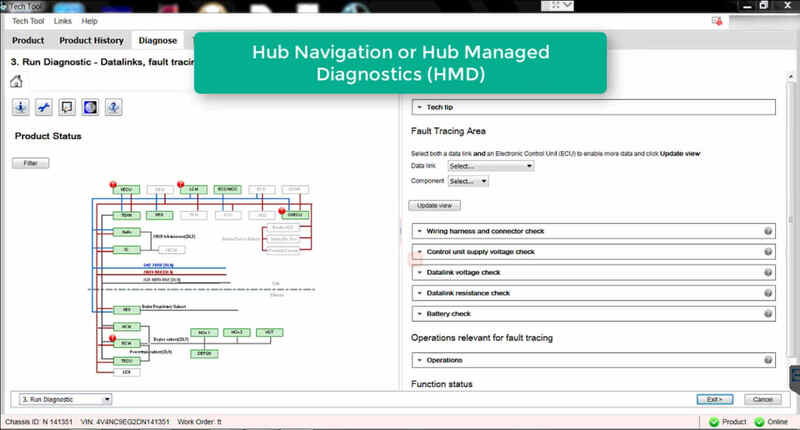 Note:Hub Navigation or HMD is only available for Data Link fault tracing OBD2013 and newer. 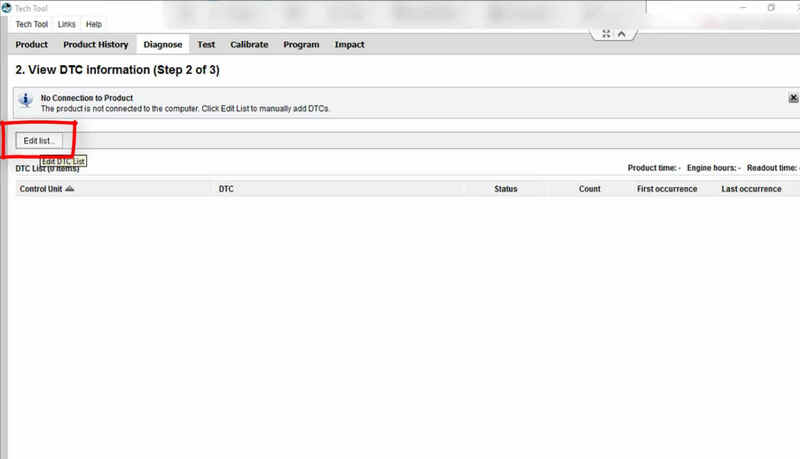 You can click the “Help” icon if you need to get the “Quick Guide”. 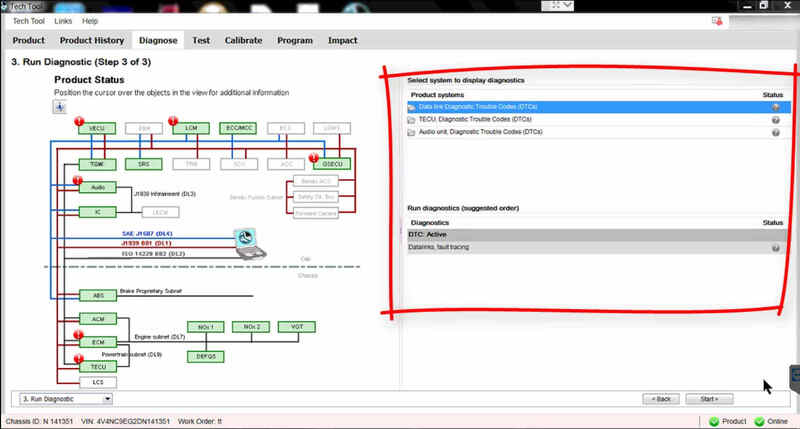 Please Note:Different icons can be displayed depending on the fault tracing selected. 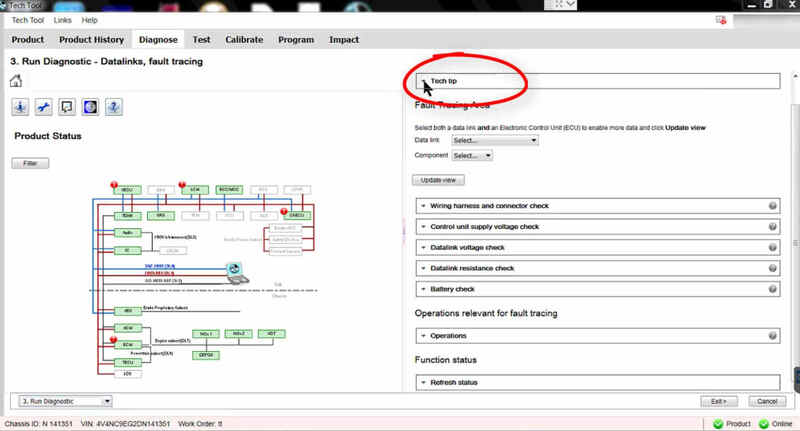 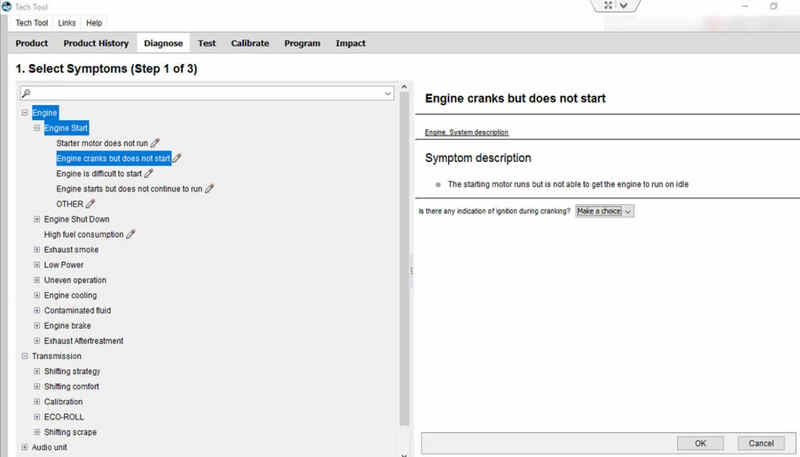 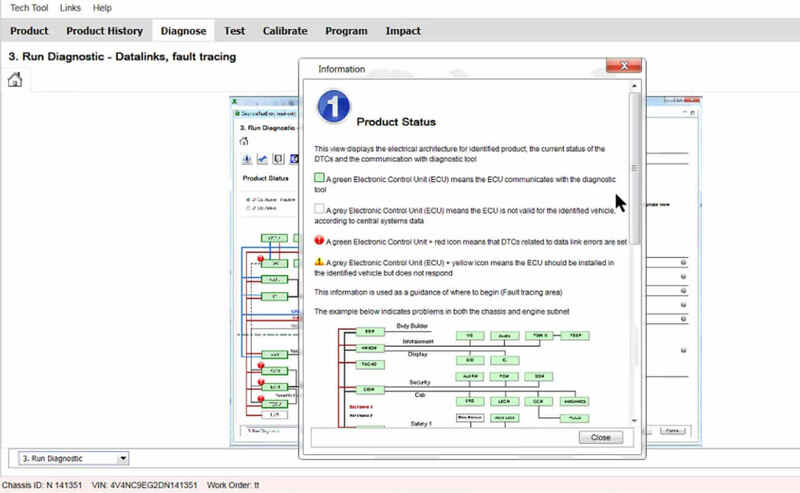 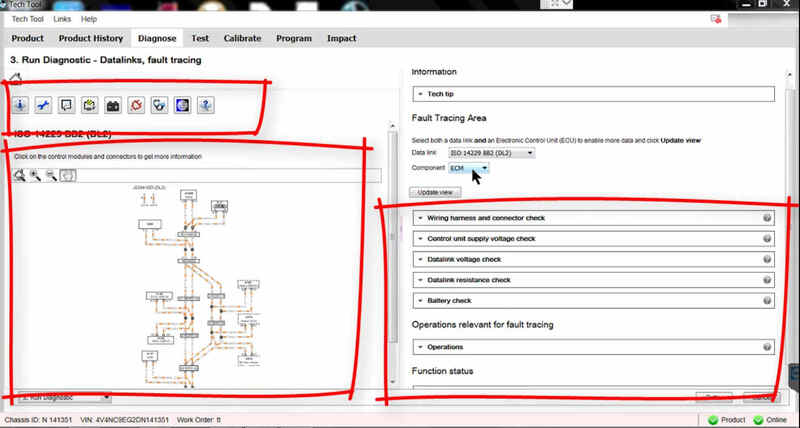 Click a control unit to get more detail information about the detected DTC.